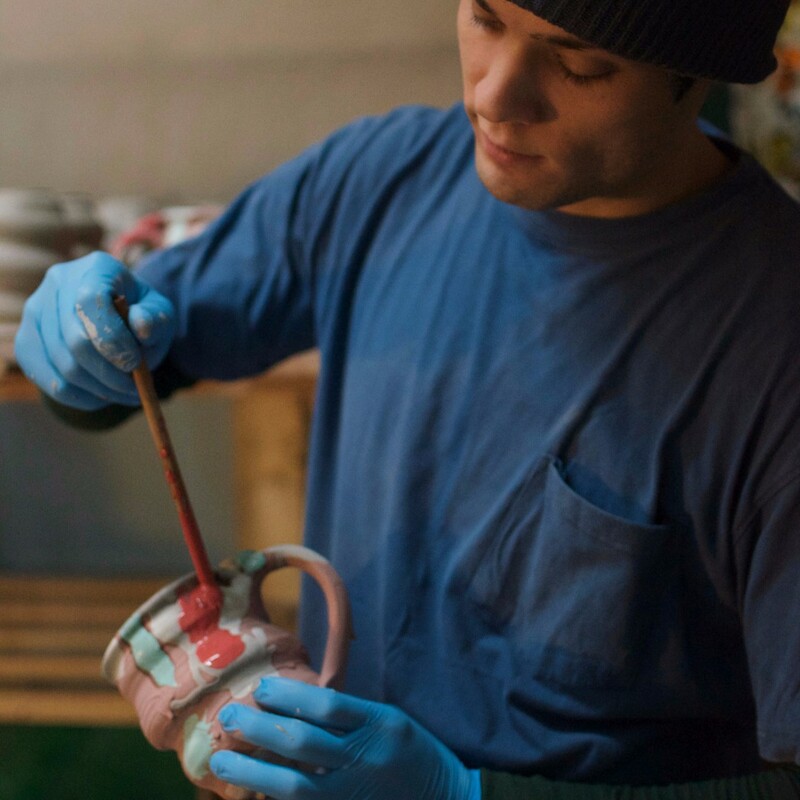 Joel Cherrico is a full-time potter. He makes every piece of artwork for sale in cosmicmugs.com and store.cherricopottery.com. In 2015, Cosmic Mugs raised $34,099 on Kickstarter and were shipped to 16 countries. This project helped validate the idea that Cosmic Mugs could be truly innovative, revolutionary pieces of functional artwork. Joel Cherrico started Cherrico Pottery, LLC in 2010 after graduating from the College of St. Benedict/St. John's University with a degree in art. Since then, he has supported his livelihood full-time by creating and selling handmade pottery. Cherrico Pottery blends historical pottery methods with new technology to revolutionize the ways that art impacts our global society. "Ever since I was young, mountains have affected me powerfully. Mountains represent ambition. They're like gigantic sculptures made by nature. The idea of reaching the summit of a mountain motivates me to pursue and achieve great goals with my artwork. I sign the bottom of each pot with a simple, abstract line drawing of a Rocky Mountain landscape."